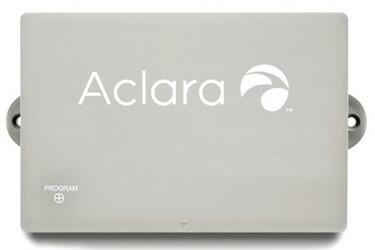 The new 3400 On-Demand Meter Transmission Unit (MTU) for water uses the efficient, low-power, high performance two-way Aclara RF Network technology to transmit hourly, interval usage data to the utility. The MTU supports up to nine-digit registers and delivers time-stamped reads on a time-synchronized network, allowing for advanced water distribution management. Enhanced features such as on-demand reads, firmware over the air, on-board storage of readings, market leading security,meter-generated alarms and flags and remote shut-off valve control bring market-leading AMI capabilities to the Aclara RF Network. Hourly, time-stamped reads from Aclara MTUs virtually eliminate estimated billing and errors, provide detailed water usage information, improve revenue management, and reduce customer service calls. The 3400 family takes full advantage of the Aclara RF two-way network with enhanced features such as on-demand reads and firmware downloads over the air. Full market leading security – including AES 256 bit encryption - ensures that customer data is secure.